Long ago, a prophecy had been foretold of the five knights of Kajuru; Mofe the Boujee, Lola the Slayer, Fola of Great Hair, Sewalore the Brave and Amarachi the Gentle, who would lead an uprising to overthrow a castle witch and rescue the Prince she held captive for many years. with a white swan and a crew so cool. 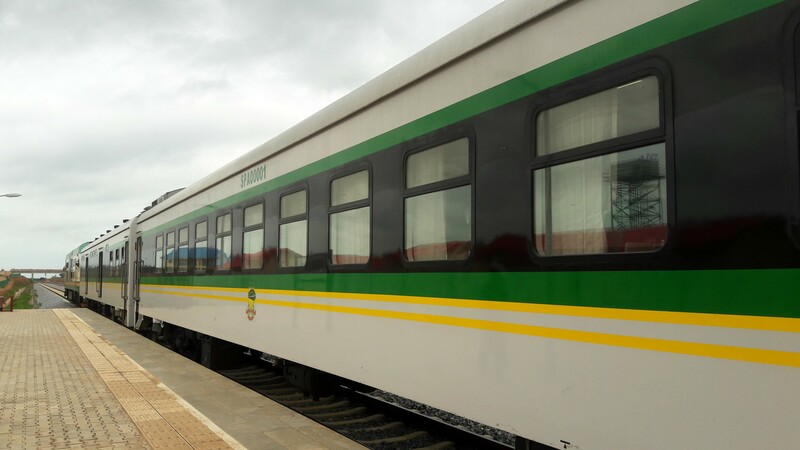 In fulfillment of this, the knights journeyed to Idu train station, just outskirts of the medieval city of Abuja. There, they tamed the second class cabin of a magnificent beast and began a sojourn for hours on end (app. 2hr 30mins) into a town called Rigasa. At Rigasa, they tamed yet another wild beast, (Toyota Sedan, by name), and ordered it to lead them to the small town of Kajuru, the home of the castle, its witch and its ghost. The five knights were welcomed with loud stares cheers, for the people were glad that the prophesy was finally being fulfilled. ‘Tis us, the knights of Kajuru’ Mofe the Boujee responded. For she had deduced the voice belonged to the castle ghost. The knights charged into the castle in full force, suited in their armor for war! They rode their swan horses into the deep, unafraid. As the war raged, the pool goddess threatened to pull Sewalore the Brave into the deep but she earned her name by panicking fighting bravely to stay afloat. Fola whipped her hair back and forth while Mofe dove to the rescue, wrestling the pool goddess with her bare hands and bringing Sewalore safely to shore. The battle was getting fiercer but Lola and Amarachi decided it was time to put an end to it. So, the two knights created an electric pout force so powerful, it shook the castle to its core and broke the chains that held the Prince bound. Alas, the Prince was free at last! And thus ends the beginning of the tale of the Legend of Knights of Kajuru. They rode back victoriously into Abuja, this time, in the first class cabin of the magnificent wild beast. Hahaha why am I just seeing this? Thank God you conquered. 😂. I love how you write. Better late than never 🙂 and yes, the battle was fierce but we prevailed! Haha, this is hilarious! Amazing story. I didn’t even know a place like this existed in Naija. How much was the day visit to Kajuru? Thank you, Jase. Hope you come around some time.. I really did enjoy the read. Hmmmmm. Nice read. I must say i enjoyed it very much. I was actually here to see the budget of this trip but I got lost here ” So, the two knights created an electric pout force so powerful, it shook the castle to its core and broke the chains that held the Prince bound.” Then i saw the prince. LOL!! Hehe, thanks Owanate. I’ll put up the cost breakdown soon. This is incredible. This your work can make a good Nollywood movie. So captivating…. Knights of tours!! As you already know I’m super proud of you. This one is really really good! Amarachi the greatest writer ever liveth!! All hail Amarachi of Kajuru!!!! Whoohoo! Chakiee. You deserve to be knighted for this comment alone, haha. Haha, thank you! Happy you liked it! Gentle ko, gentle ni. Love the photos. What are you saying? Please, I’m gentle! Hahaha, love it!!! very creative! Mofe the Bougee was so apt!! Lmao. Amarachi I’ve known there was madness beneath the gentle, this just confirms it. I love it! Haha, my secret is out! X_X. This is the limit, I promise! Lol… Still Amarachi the Gentle! Thanks for reading, stoked you loved it and boujee Mofe is indeed! I cued the Game of Thrones theme song in my head too. Haha! Lol, as it should be! LMAO. Amarachi you are hilarious. What a story! And the photos are so lovely!! Well here’s one more place I have to revisit. Have you been before? What was your experience like? Hahahahahahaha…..I loved it. So witty. I laughed too hard at this! Goodness. Great story and what a twist! Haha! Thanks Ufuoma. I had fun writing it, so happy you enjoyed reading it! We left out all the gory details.. It was an intense battle – mostly to get the right pictures, but intense battle nonetheless! I love this!!!! I laughed so hard at the ‘We seek only to use the pool’. After rescuing the prince all he could was dab?? Masterpiece! Haha, I am so adding this to the critics review! Thank you! Best believe I’m going to visit the Kajaru soon. This was a fun read. Quick question. How much was the ride to and from Idu station? There was no dialogue with the witch? No fight? Lol.. The battle was too gory to describe! Let us just go with that!